After taking 2 of 3 from the mighty Yankees on the weekend, the Blue Jays head into Baltimore looking to snap a three game losing streak against the AL East basement dwellers. The Orioles have five fewer wins than the Red Sox have losses. The Blue Jays sent rookie phenom Ryan Boucki to the mound today, while the Orioles countered with reliever Evan Phillips in a bullpen day for the Orioles. Could the Blue Jays snap the shameful three game losing against the worst team in baseball? Here is today's game recap. 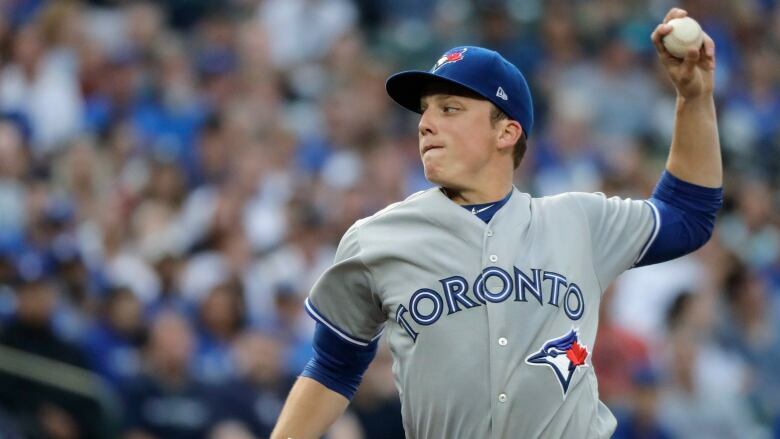 Ryan Borucki was excellent tonight, allowing just 3 hits and walk. Only one ball left the infield between the 6th and 8th innings (a line out caught by Grichuk). Borucki retired the first 6 batters he faced and the final 8 batters he faced. The only inning where Borucki git in any kind of trouble was the 3rd inning when he allowed back to back singles to start the inning. He got out of that in ning with a double play and a ground out. At this point, Borucki looks like he could get the opening day start next year the way he's been pitching all year. Rowdy Tellez had a busy night in the field as Ryan Borucki induced a ton of ground ball outs tonight. He was involved in 11 plays tonight. At the plate, he was 1-3, driving in the game's opening run. Danny Jansen did a great job calling the signs tonight. He was 1-3 at the plate, hitting a 2 run HR tonight. On the downside, he allowed Jonathan Villar to steal a base against him tonight. With the way Borucki was pitching tonight, the stolen base was moot, but he needs to improve this area of his game. Richard Urena was 0-3 at the plate tonight. He was involved in 4 plays tonight as the second baseman. Congratulations to the Baltimore Orioles on setting a new franchise record for losses in a season. It is not easy to be so inept. Up next, the Blue Jays go for the series win against Baltimore as they send Aaron Sanchez, who will be looking to build on a solid month of September where he is 1-1 with a 2.77ERA. He'll be up against an unannounced Orioles pitcher.